Vulcan UAV are very pleased to announce our participation in the new European project DigiArt due to run for the next three years! 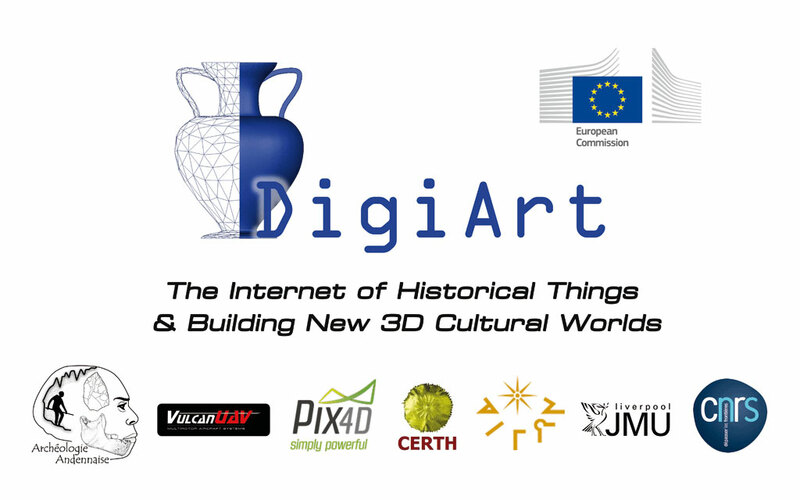 DigiArt is an EU funded project that seeks to provide a new, cost efficient solution to the capture, processing and display of cultural artefacts. It offers innovative 3D capture systems and methodologies, including aerial capture using drones, automatic registration and modelling techniques to speed up post-capture processing, semantic image analysis to extract features from digital 3D representations, a “story telling engine” offering a pathway to a deeper understanding of art, and also augmented / virtual reality technologies offering advanced abilities for viewing, or interacting with the 3D models.